The Keto Diet is hugely popular because it gets results. When I first heard of the diet (about 4 years ago) I immediately decided to give it a shot. I was amazed at the results and lost 16lbs in just 28 days! I was so happy with the results that I created an e-book called the 28 Day Keto Challenge and sold it via my blog. 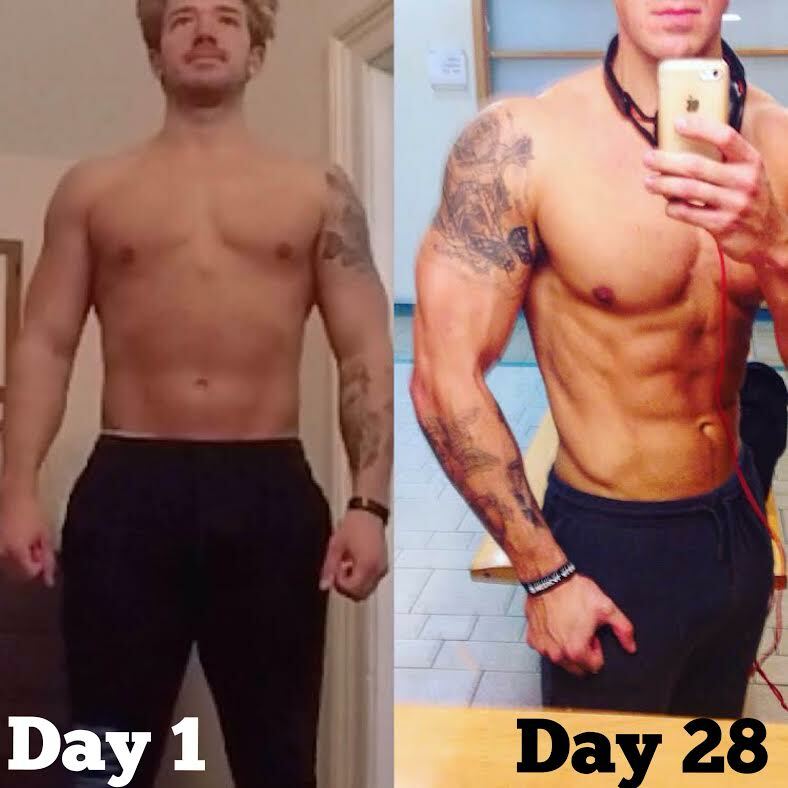 I also started using it with my 1-1 personal training clients – who’ve gotten some amazing results thanks to following the diet and combining it with the exercise plan that’s also in the 28 Day Keto Challenge. 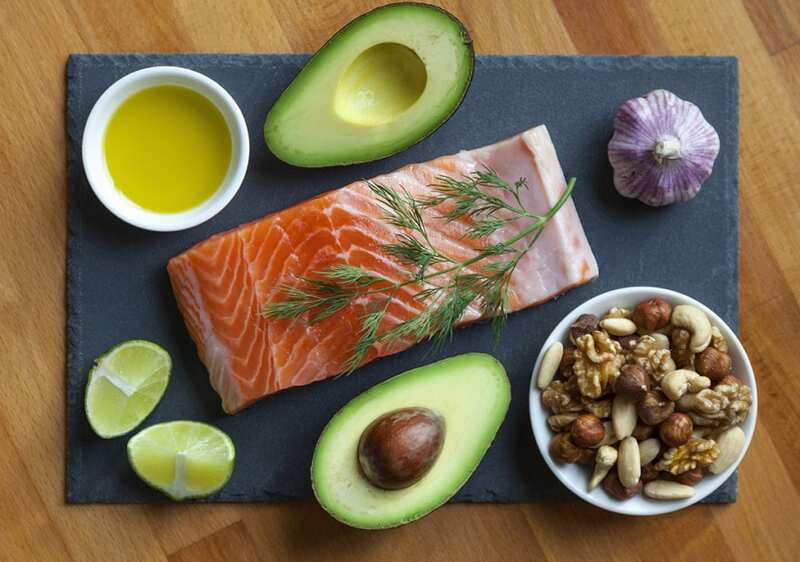 A keto diet is a nutritional program which is made up of foods which are high in fat and protein, with very minimal carbs (usually below 30g per day). For example a Keto Diet plan contains foods like: steak, chicken, salmon, eggs, nuts, butter, olive oil, bacon, sausages, etc. It’s very similar to the Atkins diet. The diet is popular especially amongst those looking to lose weight very quickly. Following a well structured Keto Diet will see users lose lots of weight very quickly, that’s providing that they are in a calorie deficit. That’s how all successful weight loss diets work. A Keto meal plan is a very effective diet for fat loss because it removes carbs from the diet. When you remove carbs you reduce your overall calorie intake, and also remove a food group which is very easy to overindulge on. For example pizza, chocolate, pasta, bread and sweets are all high carb foods, remove them and you increase the likelihood of weightloss. The Ketogenic diet is full of good, healthy and very nutritious foods. It’s full of protein based foods which are important for building and maintaining muscle (key for fat loss), and also for healthy nails and skin, to name but a few benefits. It’s also rich in good fats, for example nuts contain essential fatty acids which have been proven to improve cognitive function. Alongside the protein and fat based foods, a good Keto plan, and something I include in the 28 Day Keto Challenge is that you eat lots of ’vegetables’. Vegetables provide the body with micronutrients which are key for supporting the body throughout the day. Vegetables help fight off illnesses, diseases, infection, reduce overall inflammation in the body and improve bowel functioning. To begin with you do take a knock, it’s hard, especially the first couple of weeks. Most people are used to living off carbs and it’s the bodies preferred energy source, so all of a sudden removing them does cause the body to go into shock mode. It’s not uncommon to experience headaches, low mood, and low energy, especially whilst the body gets used to it. That said after a couple of weeks, once you come out of the withdrawal period and your body gets used to it, you’ll have more energy than before, your skin will look better and your body shape will have already started to improve. If you are serious about losing weight and want to do it quickly then I’d recommend trying a Keto Diet. If it’s not for you that’s fine, but it works for a lot of people and it’s a great way to kick start your weight loss endeavour. There are lots of great Keto resources and recipes online which you can try for free. If you are happy spending time scrolling the internet and want to do your own research this can be a great way to build your own ketogenic meal plan from scratch. I’ll tell you what to eat, and also give you an exercise plan which you can either do in the comfort of your own home, or at the gym (whatever your preference!). The good news is that the 28 day Keto Challenge is available for just £10.99 (less than a Dominos pizza!) and will be sent to you today. You can start tomorrow if you like!